QR codes didn’t live up to their original promise. You know, those smart phone-readable codes that became prolific around 2000, with an array of black and white squares, usually storing a URL or other scannable information. Why didn’t they work? They went backwards with their idea. Everyone has seen or heard the now classic quote from Field of Dreams, “If you build it, they will come.” Well, not exactly…many companies built QR code scanners, but there were two major barriers to adoption. They needed to acquire users and teach a habit, and provide a value proposition to consumers for downloading the app. Then those consumers needed to be enticed to scan a weird looking code. That added up to a lot of work for a small pay-off and consumers simply did not buy in. Fast forward to 2017, and we see that integrating a code into an everyday app that consumers use, works. What is different 17 years later, is a streamlined approach, mass adoption, and a value exchange with consumers Today, 161 million people use Snapchat daily; it’s how millennials communicate with their peers. Snapchat had that lightbulb moment, why not add a QR code into an everyday experience for consumers. 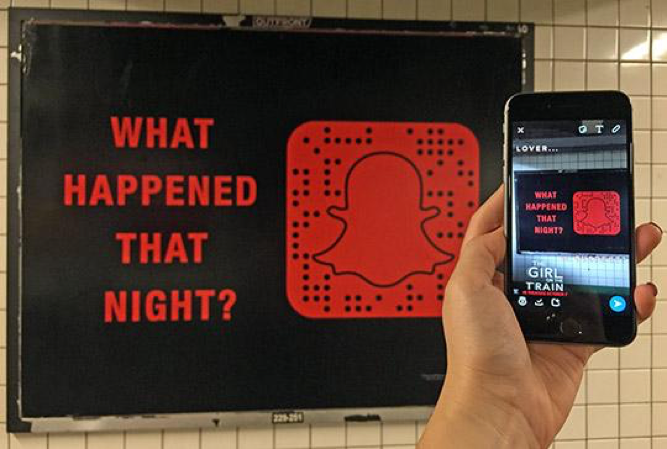 Snapchat is the leader, but they are not alone. It’s not strange that we find ourselves looking to some of the biggest social networks, platforms, cameras apps and music streaming services for integrated “QR codes”, as providers and pushers. With millions of daily and expert users, no action of habit needs to be taught, millennials just get it. Don’t be fooled by these platforms’ “new scannable technologies.” All they’ve done is add-on to their current services to include a new way to obtain content. And just like that, QR codes, redefined, now cool again. Tech giants have made the action of scanning those weird looking codes relevant and desired. The resurgence of QR codes are coming back with a twist. Every leading platform is hopping on the scan-craze band-wagon, whether it’s scanning Snapcodes to follow a friend or celebrity/influencer, unlocking an exclusive filter for an hour, or scanning a Spotify code to share a new song. The on-the-go and grab-and-go ease of scannable content is a perfect complement to the Out-Of-Home advertising space. With the average person spending 70% of their day out of their homes, these codes can and should live outside them home. You’re not going to walk into your kitchen one night and BOOM, a big Snapcode is on the fridge out of nowhere. This content is going to live where you spend 100% of 70% of your day. And the opportunity of the IRL big, creative canvas works to “inspire desire” of the “I want it now” moment. The Snapcode ensures you can have it, and you can have it now. Instant gratification is a hallmark of today’s culture. Spotify is introducing a brand new way to share and discover music. 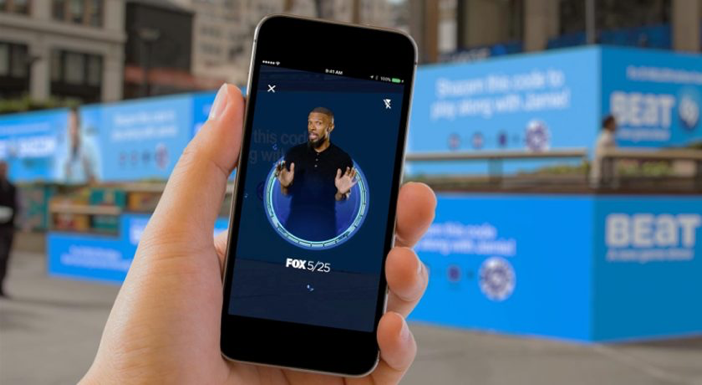 Fox is incorporating augmented reality via Shazam into some of its New York billboards for Beat Shazam. The race is on to have your own “scannable” images to open, unlock or take content with the consumer on the go. Snapchat really made this become a “thing” (or ting, if you ask Drake) in the most coherent way by adding friends to follow. They taught the “QR” code course again, and grown revenue streams by making it fun to share content. 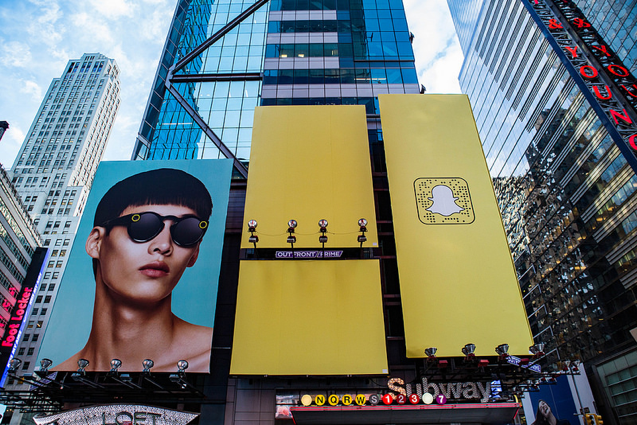 Today you can see Snapcodes on billboards, not only just for Snaps Spectacles, but also for exclusive content for artists and others, like NBC Universal Films. Shazam, Spotify, and Facebook are not far behind with jumping on the “scannable train”. 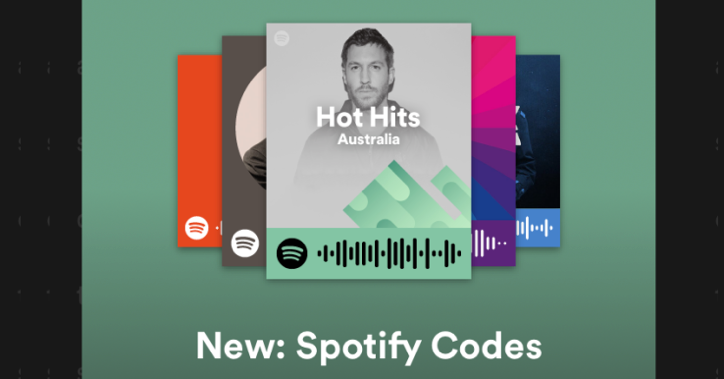 Spotify just launched their version, “Spotify Codes”, to download, share and listen to a song. We are living in the era of scannable content through our mobile devices, while always on the go, no matter if you’re in NYC, Omaha, or a suburb of Chicago. Life is moving fast and so are you. OOH media is all around you and you can’t scroll by it. Scannable content will only continue to grow and no other media form can provide a canvas for them to live, like OOH can!